We Eradicate Pests in Queens - Guaranteed! Our pest control Queens technicians are in the field constantly and are ready to come to your home or business within a short notice. We provide 24/7 assistance for bed bugs & all pests. Our Queens Exterminator serves all of Queens, New York. “This company was great. Within a few days of the treatment for the roach problem we had, they were all gone. The technician was very friendly and helpful. Price was good and hopefully I never have to call this company again! 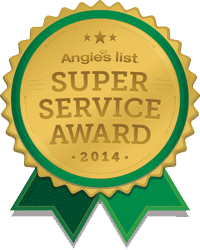 Thanks Queens Pest Control!” – Courtney A – Queens, NY. We had a mice problem and they handled it very professionally. They sealed up the offending holes & crevices where they were coming in and finally got them removed from our apt. Great service and good price. Would definitely recommend them if seeking a Queens Exterminator.” – Kevin S. – Queens, NY. Welcome to the home of Queens County Pest Control that specializes in pest control Queens, bed bug removal, termite extermination and more! Call us right away to talk with our knowledgeable pest experts and receive a FREE consultation! Why Choose Us At Queens Pest Control? Queens Pest Control treats many different types of pests. Queens Pest Control is experienced and qualified in destroying termites from your home or business. Termites will destroy the structural integrity of any building if given half a chance. They work 24/7 and never take even one day off. If you are preparing to purchase real estate, Queens Pest Control offers quality termite inspections, to ensure that there is no current termite infestation or damage. And even if no termites are found, it’s important to have regular termite inspections to detect any infestations early if they do happen to occur. Repairing termite damage is a heavy burden to bear and can grow to become a more expensive problem if not properly taken care of at the very first sign of detection. Queens Pest Control is your simple solution to termite obliteration. Queens County Pest Control will provide you with top quality residential service to make your home pest free. We take care of the pests on your property and buildings, inside and out, to maintain a bug free environment all year round. Our trained pest technicians will also keep your place of business protected against reputation ruining pests. Queens Pest Control is a top-notch teammate to have in your office. Our pest control Queens NY service is at the top in professional, expert and effective local extermination services. Our pest technicians are the well trained professionals who excel at making sure your home and business are free from annoying pests, protected from poisonous insects and clear of the dangerous bacteria that pests so easily spread. We are here to help you exterminate any pest or bug problem that you have. Queens County Pest Control will terminate the insects inside of your home and we guarantee consistent courteous and professional service for you and your family. Queens Pest Control services Nassau County, Suffolk County and New York’s five Boroughs. Contact Queens County Pest Control for a free consultation. Queens County Pest Control treats for over 100 different types of pests. Beginning with the aggravating ants that invade your kitchen pantry or the cockroach infestation that has overtaken your bathroom. Queens County Pest Control exterminates dangerous stinging pests like bees, yellow jackets and wasps. These pests are aggravating and frightening. We are also experts in mosquito control and bed bug extermination and inspections. Call us for more details! Queens County Pest Control values every customer. We want to make sure your home is a happy one by eliminating all of the nuisance of pests from your home. All resources a pest requires to survive are within the walls of your home; water, food and shelter. Queens Pest Control’s number one priority is keeping you comfortable while keeping the pests out. Give Queens County Pest Control a call right now for your FREE Quote! *Pest Protection Plan for Home Pest Control: Initial Service charge of $149.00 applies monthly charge of $39.99+ (based on size of house) for 11 months. All prices subject to sales tax (Credit Card Only). The Pest Control Service contract will begin when the initial visit is completed. This Contract will automatically renew for successive 30-day term(s) at the expiration of the initial 1-year term or any 30-day renewal term, unless terminated by either party with written notice at least 30 days before the end of the then- current term. If terminated, this Contract ends on the last day of the then-current term. Pests Covered: common ants, crickets, beetles, moths, millipedes, earwigs, roaches, silverfish, carpenter ants, carpenter beetles, centipedes, carpenter bees, spiders, wasps, water bugs, and yellow jackets. Mice, rats, fleas and ticks (interior of home). Pests Not Covered: Termites, bed bugs, stink bugs, digger wasps (cicada killer), mosquitoes, birds, squirrels, raccoon (and other fur bearing animals), ongoing rat or mice problems on exterior and rodent proofing. **Pest Protection Plan PLUS For Termite Coverage: Initial fee of $239 must be accompanied with a 12 month service contract at $59.99 each month (Credit Card Only), and this gives you termite coverage PLUS everything covered under the Pest Protection Plan* (see above). All prices are plus tax. The Termite Services will begin when Termite Baiting System is installed. This Contract will automatically renew for successive 1-year term(s) at the expiration of the initial 1-year term, unless terminated by either party with written notice at least 30 days before the end of the then-current term. If terminated, this Contract ends on the last day of the then-current term. Cement Drilling will be additional. This includes up to 10 Termite Monitoring Stations and it is $25 for each additional station. Call (718)423-2883 for Immediate Assistance!